Your full-service technology solutions provider. Deciphering today’s technology can seem like a daunting task. We’ll be there every step of the way. Let our team build a beautiful, responsive, mobile-friendly website to represent your brand properly online. Mobile-friendly means your website will look great on all devices. Start today! It’s like having your very own website manager on staff. All of your websites needs are a call or email away. Regular content updates, daily backups, real-time monitoring are some of the things we are doing to keep your website awesome. No tech skills required! You can build a better website in under an hour with out any tech skills! Create a website quick and easy for only $5.99 per month. You will get everything needed to launch your new website! Hosting, security, even a free domain! Manage everything from your phone, tablet, or computer. Create in the place that you are most inspired, or make changes on the go! Got tech skills? Host your website with us. Our tech support team is amazing. Our websites have 99.8% uptime! Grab the “parts” for your new website. WordPress Website Hosting, Domains, SSL Security Certificates, Business Email, and more. We have the products to start and manage modern websites. From cocktail napkin to front page. We will take your ideas to your customers. Digital Marketing offers a wide selection of ways to interact with your customers. Let’s design fresh ways of targeting your markets. 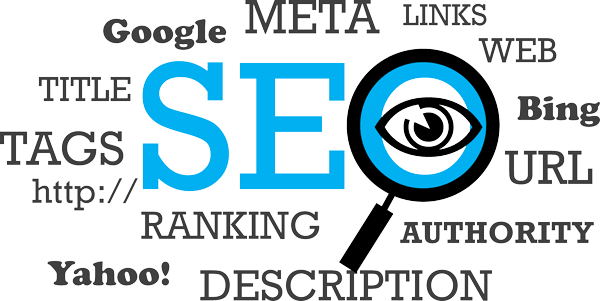 Search Engine Optimization is vital to any business these days. Integrate SEO into your Digital Marketing campaign today. Stay above your competition in the real-world and on Google. "Parmon Consulting has helped my business’ online presence immeasurably. From their design work, to their insight, to their communication, everything has been absolutely top notch." "Need IT Work? Call Parmon Consulting and they’ll take care of you. I’ve used this company multiple times and never been disappointed. Tristan is very determined and is will to go the extra mile for you." "Thank you for turning my mess of electronics into a great new setup. It’s fun using the computer on my TV. I was impressed with your services, showing up on time, making sure everything works, and reasonable pricing." "I love how they gave me helpful innovative knowledge about my small company. Thanks." Website Management: Our full-service approach to building advanced websites with WordPress can have your website up and running is as little as a few weeks. This largely depends the availbility of content for the website. Do It Yourself with our Website Builder. You can build and manage your own website easily. Basic Domain & SSL Security are included with your Website Builder plan at no extra cost! You will need the following website "parts" to build & manage your awesome website today! Allow Us to build and manage a beautiful website for you. Learn more about our full-service Website Management service. You will need the following website "parts" for our team to build & manage your new website! Do I need an SSL Security Certificate? Your website will function without an SSL security certificate. But we strongly recommend having an SSL. If you don’t have the little green lock from a trusted SSL certificate, Google Chrome will tag your site as Not Secure. What if I cancel my Website Management plan? There are no long contracts here. We will continue to earn your business month after month. You are free to cancel any time. Upon canceling your account, we will discontinue management of your account and the website will be reverted to a "maintenance" page. Yes! We are a full serice domain registrar. Shop domain pricing and availability. To make your website visible on the Web, your website’s files and data must be physically stored on a computer that is connected to the Internet. These large, high-powered computers are called web servers. Purchasing website hosting purchases space on these servers. While computers require IP addresses to locate one another, we humans can use domain names. When visitors enter your domain name into a Web browser, the browser uses your domain name to find the correct IP address and, in turn, passes back the website associated with that IP address. Domain names were created to make IP addresses more human-friendly. An IP address is a unique set of numbers that is assigned to every computer/server on the Internet. Think of IP addresses like street addresses - they identify where a computer is located on the Internet and help route information so that it can easily travel between computers. We perform incremental, reliable, daily backups. Can you get me on the top of Google? A domain-based email address, like info@YourBusiness.com, helps you look more professional with customers and promotes your website and company. In fact, customers are 9 times more likely to choose a company with a professional email address. Every time you send an email from a domain-based address, you're putting your domain name in front of customers and encouraging them to visit your website. WordPress® is a blog- and web-publishing platform that is recognized the world over as a standard in website creation.